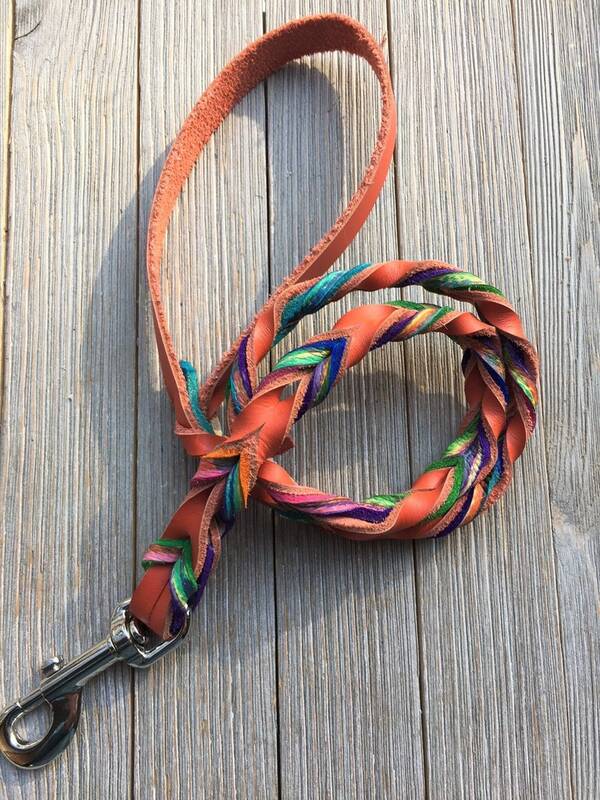 This listing is for a fully braided leash with orange latigo and tie dye with a nickle snap. 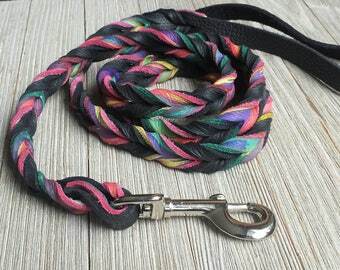 Great leash, beautiful colors and well made. Unlike some competitors this leash won’t substantially stretch out and become weak over time. Amazing quality, very durable leash! It’s beautiful! It’s just as cute in person and was really quick!